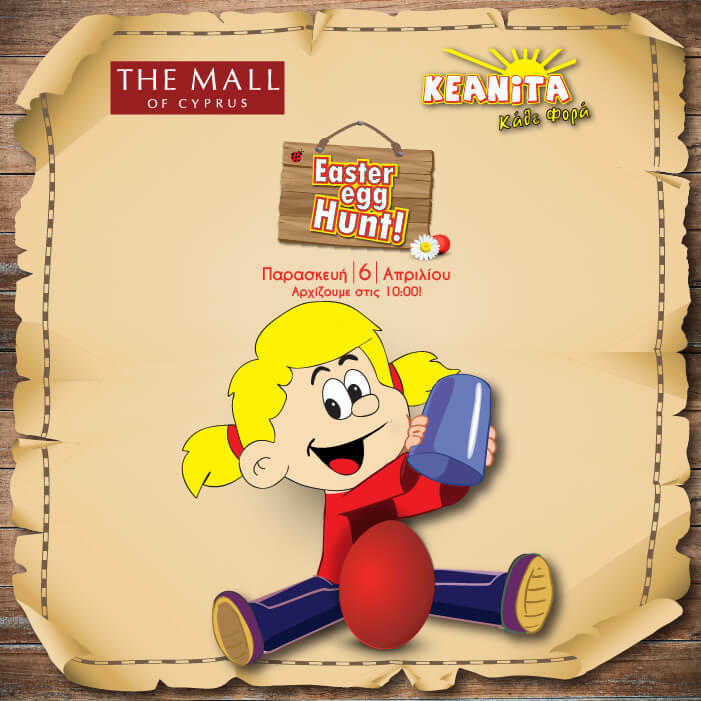 Get ready for this year’s Easter Egg Hunt with KEANITA at The Mall of Cyprus. Come to The Mall of Cyprus on Easter Friday, 6 April, search and find one of the 300 eggs that will be hidden in the mall and enter the draw! One grand winner will get a bicycle worth 200 Euros. With prizes for everyone, surprises, and Easter arts & crafts together with KEANITA and its friends! Easter Egg Hunt, on 6 April at 10am, at Entrance 2 of The Mall of Cyprus.